Genelle concentrates her practice in civil rights, employment law and municipal liability matters. In this capacity, she represents municipalities, school districts and police departments in various claims made and suits brought against them. Early in her career, Genelle served as an assistant city solicitor in the Civil Rights Unit. Here, she represented the City of Philadelphia and its employees in state and federal civil rights actions. She was responsible for all aspects of litigation from the pleading phase through trial. Genelle also drafted and argued various motions before the court and served as lead counsel at trial. In 2004, Genelle graduated from Hampton University, in Hampton, Virginia earning her Bachelor of Science in mathematics. She attended Penn State University Dickinson School of Law in Carlisle, Pennsylvania, and earned her juris doctor in 2007. While at the Dickinson School of Law, Genelle served as an intern to Magistrate Judge Harris-Epps in the District of Columbia Superior Court Washington, D.C. She also served Dickinson Law School as a research assistant, researching potential assignments for legal writing courses, teaching Bluebook citation workshops and evaluating students' oral arguments. 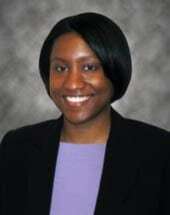 From June 2006 to August 2006, Genelle worked for the Department of Justice, Philadelphia, Pennsylvania, as an intern in the U.S. Attorney's Office, Eastern District of Pennsylvania. Additionally, from January 2006 to December 2006, she served as an intern to the Honorable Bruce F. Bratton in the Dauphin County Court of Common Pleas, in Harrisburg, Pennsylvania.